The North American car industry is a sum of parts made and assembled in Mexico, the U.S. and Canada. A lot is riding on a new NAFTA deal. NPR: "Why The Auto Industry Is Paying Special Attention To NAFTA Negotiations" — "U.S. and Canadian trade negotiators are scrambling today to come to a compromise on a new NAFTA deal. If they don't reach an agreement by the end of the week, President Trump has threatened to cut Canada out of the deal and forge ahead with a new pact with Mexico alone. Analysts say that could be very bad for the U.S. auto industry, which makes cars and sources parts across all three countries." Chicago Tribune: "Car prices projected to increase under Trump trade agreement with Mexico" — "New car prices will rise, along with demand for used cars, as a result of President Donald Trump 's tentative trade agreement with Mexico. "'The new agreement will push production costs higher on Mexican products — parts and vehicles — which, eventually, will be paid by American consumers,' said Michelle Krebs, executive analyst at Autotrader, the car-shopping website owned by Cox Automotive. "Trump said August 27 he had made a limited bilateral trade agreement with Mexico — though Canada can join and talks on the question are planned. Trump said he will cancel the 24-year-old North American Free Trade Agreement among the United States and both its neighbors in favor of what he called the U.S.-Mexico trade agreement. 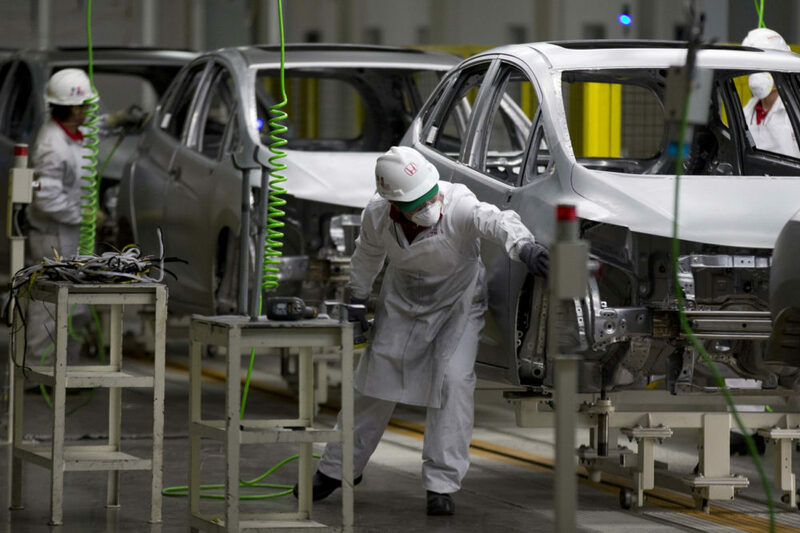 "An agreement on auto manufacturing has been key to trade talks involving a NAFTA revision. Cars are a mix of components from many countries, including low-cost labor markets such as China or Malaysia." National Post: "From cars to medicine, uncertainty of NAFTA deal means consumers lose out, experts say" — "Under almost any normal circumstance, the negotiation of a trade pact between countries should result in benefits for consumers, say experts who are closely watching the North American free trade talks unfold in Washington. "After all, the mutual lifting of trade barriers should result in more competition, which should translate into more consumer choice and, therefore, lower prices. "But with Donald Trump driving the agenda for the American side of the bargaining process, some experts warn that the uncertainty generated by the negotiation of a new North American Free Trade Agreement will ultimately hurt consumers." This program aired on September 5, 2018.